Conservation Officer Waterhouse was born in Nashua, New Hampshire and lived in Lancaster at the time of his death. From 1957 to 1963, he was a New Hampshire State Trooper in North Conway and Windham. He had been a Conservation Officer for five years before his death. He was a member of the Mt. Washington Lodge 87, F&AM, of North Conway. On September 8, 1968, Conservation Officer Waterhouse and Conservation Officer Carl Carlson drove and hiked to Boundary Pond, an isolated area near the Canadian border, to investigate a complaint of illegal activity. When he reached the pond, Conservation Officer Waterhouse suddenly collapsed. Officer Carlson administered first aid and mouth-to-mouth resuscitation for 20 minutes before returning to Chartiersville, Quebec to reach the nearest telephone and call for assistance. 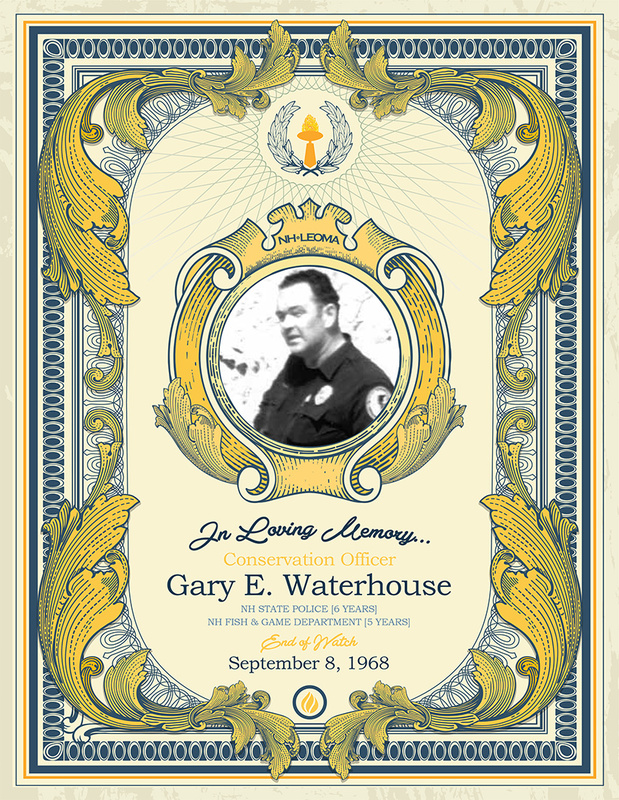 Conservation Officer Waterhouse died at the scene, the victim of a heart attack. He was 36 years old. Conservation Officer Waterhouse was survived by his wife, Ann, his two sons, Gary and Kevin, and his brother, Thomas, who was a New Hampshire State Trooper.